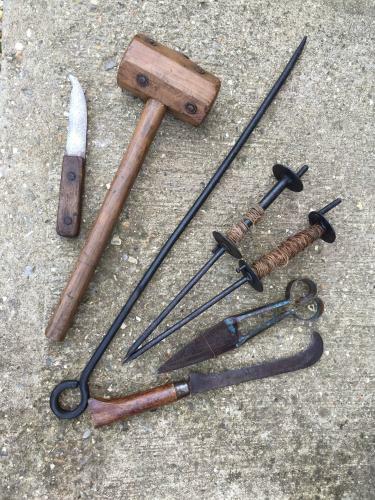 Antique tools from Norfolk Thatcher. This collection includes Binding knife, Mallet, Needle, String winders, shears and a spar hook. All used by the same man.